Bajaj Auto, India’s third biggest motorcycle maker by sales, is in the throes of one it’s biggest ever acquisitions. Along with its Austrian partner KTM, the company is in advance stage of buying out German Volkswagen’s superbike maker Ducati, the iconic Italian brand. Ducati has been on the selling block for some time. KTM is Europe’s largest motorcycle maker by sales. Rajiv Bajaj, managing director at Bajaj Auto, told shareholders on Thursday that he would add a second premium brand to the most successful Bajaj-KTM alliance to make Bajaj a world class manufacturer of motorcycles, including super bikes. Bajaj has 48 per cent equity stake in KTM. Some investors had asked the chairman Rahul Bajaj at its 10th annual general body meeting about the company’s plan with the huge surplus cash in hand. 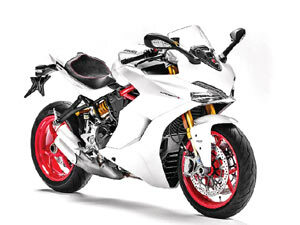 In the past few weeks, markets were buzzing with the speculation that Bajaj had entered the fray to buy out Ducati. However, there was no confirmation from Bajaj. KTM’s name came up only on Wednesday, when a European news agency quoted sources saying that KTM has joined the race to buy out Ducati. The Swedish brand Husqvarna was the first one added into the kitty by the alliance when KTM bought dirt bike specialist brand Husqvarna Motorcycles from Europe's largest bike company BMW Motorrad in 2013. Husqvarna has been manufacturing motorcycles since 1903, specializing in off-road and street bikes, and matching the portfolio of KTM. Bajaj said he had asked KTM to introduce Husqvarna products in India and they would now be made at the company’s Chakan factory near Pune, sharing the bike architecture with KTM and Bajaj. Bajaj said the acquisition would plug the final gap in the Bajaj-KTM portfolio, which has expanded to as many as six models and is due to add more products shortly. But the managing director did not disclose the brand name. Bajaj said KTM rides in a space, which is sporty. But there is also another world out there, which is the world of easy riding, the world of Harley-Davidson, Triumph and Royal Enfield. “This segment so far was the only missing piece in our puzzle,” Bajaj told investors, some of whom have been worried about the declining Bajaj motorcycles sales as well as exports. The alliance, he said would open up new markets as it is a suitable brand. “So if KTM and Husqvarna can sell 5 lakh motorcycles a year, believe me they can do a million motorcycles together,” Bajaj pointed out. Bajaj is confident of growing volumes of Ducati brand because when Bajaj bought equity stakes in KTM, the Austrian brand’s annual sales stood at 65,000 motorcycles a decade ago. This will grow to over 2.50 lakh units this year, Bajaj said. And out of that 2.5 lakh, 1 lakh units will be made by Bajaj Auto's factory at Chakan. With plans of locally manufacturing Husqvarna brand, the opportunity almost doubles, Bajaj said. He said after ten consecutive years in losses, they are solidly in the black. After Harley-Davidson, KTM is the most profitable company in the premium two-wheeler space, Bajaj told investors. Earlier Harley Davidson, Hero MotoCorp, Royal Enfield and some other companies were in the race to buy Ducati. Ducati sold 55,451 units in 2016, registering a growth of just 1.2 per cent generating a turnover of Euro 731 million. The brand, which is known for its sporty bikes, has made a conscious attempt to enter the cruiser segment.